Two unique brands in their own right, Looptworks and Langlitz have come together to create the LOOPT classics collection of bags and accessories, made entirely in the USA. Langlitz produces a large amount of scrap leather as a result of their manufacturing and the partnership with Looptworks keeps that leather in use. You could call this a eco-friendly collaboration but lets just say it just makes sense for the brands positioning. 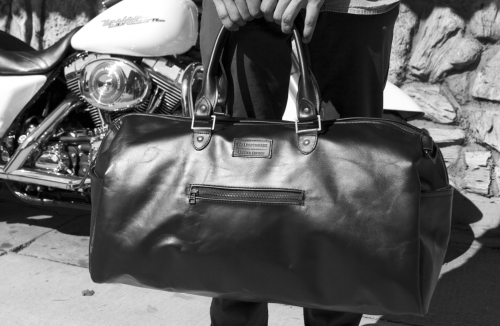 This duffle is my favorite piece from the collection but go HERE to see the full scope and purchase also.